Many families cannot muster the substantial cost of continued education elsewhere after their child finishes grade four, the final grade taught at Mackenzie Community School. Often, this means that formal education for these students stops. 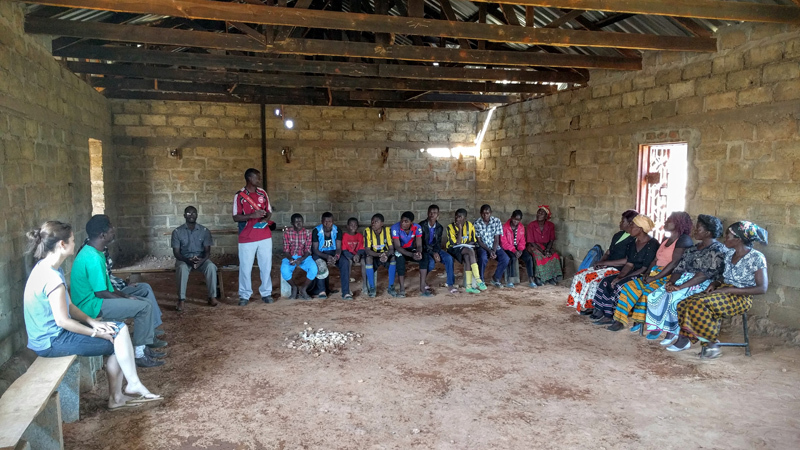 For each participant in its Scholarship Program it is iChange's objective to support them until they complete their full secondary education. In a typical case this means that students will receive necessary support for their schooling from iChange beginning with grade five and ending after grade twelve. Two main criteria are used in identifying and selecting participants for this program: In an initial step those students are being identified who gathered attention during their time at Mackenzie Community based on their academic progress and success. In addition, the family situation of each child is taken into consideration as well. A main target are accomplished students who are orphaned (or have only one parent supporting them) or, in general, students from known, difficult family backgrounds. Although secondary education at a public school is officially free, in reality this does not apply. Trying to come up with an accurate estimate of the real cost of eight years of secondary education in Zambia is indeed a major challenge. As prices for educational fees and materials often fluctuate significantly within short periods of time, only rough estimates are possible. At this point iChange estimates the cost of a full secondary education (eight years) at approximately 2,000 Swiss Francs. This number includes all basic school fees but also related supplies like books, shoes and mandatory school uniforms. On average, this amounts to 250 Swiss Francs per year of secondary education. This number, however, is an average only, as the actual cost increases significantly towards the final years of secondary education. As iChange is committed to support the participants in this program long-term, it is of utmost importance that sufficient financial means are available at all times to avoid the danger of a sudden discontinuation of an individual scholarship. For reasons beyond iChange's control it is unfortunately not possible to guarantee that a particular student will successfully complete the program. Migration rates within the population of Mackenzie and Twapia are high, often resulting in children and their families leaving the community from one year to the next. In many cases children have to move to far away parts of Zambia when their parents or current guardians die unexpectedly and other members of the extended family take over responsibility for raising them. In such cases iChange immediately replaces such participants with new students to ensure that all funds contributed to this program are used as described.